Tomer Berda played very solid throughout the day, but the road became very rocky once play was three-handed. Berda was one the shorter stacks at the time and after coming back from a break even he admitted his struggles. "I am playing really bad," he told one of our reporters. "You can write that." It all turned around from there. Berda eliminated our third place finisher Bryan Porter, and was headstrong entering heads up play with Vladimir Kochelaevskiy. The two passed the chip lead back and forth until Berda was fortunate enough to bink a giant double up right before our last break. A few hands later, Berda finally eliminated Kochelaevskiy and his father greeted him with a giant bear hug. Nothing can be taken from Kochelaevskiy however, the Russian proved today that he is a deadly No-Limit Hold'em player. His patience and timely aggression helped him amass a giant chip lead, but it just wasn't in the cards for him in the end. This event, like many at the WSOP, attracted some of the best players in the world. 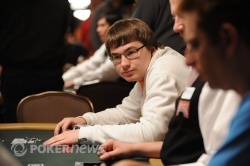 Chris Moneymaker, Daniel Negreanu and Ivan Demidov are just a few of the 1,941 players who flooded the Pavilion Room three days ago with dreams of WSOP gold. The event took longer than expected, and a fourth day was added to the schedule for the final table. Earlier today, nine players returned to fight for the bracelet. Alfonso Amendola was the first to go, and after falling very short Joseph Curcio followed him out the door. Ali Alawadhi missed a flush draw eliminating him in 7th place, Hungcheng Hung fell in 6th and although he began the day as our shortstack, Mike Wattel battled all the way to 5th place. Salvatore Bonavena was eliminated on the very same hand as Wattel. Despite entering the day as a massive chip leader, Bonavena hit a rough patch and stalled in fourth place. Porter was the next to go and of course Berda bested Kochelaevskiy in their heads up match. 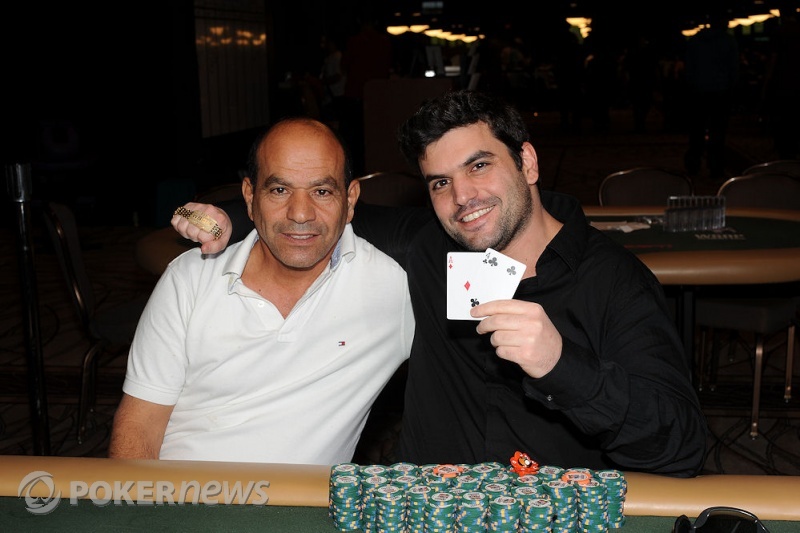 Congratulations to Tomer Berda for winning the 56th and final preliminary bracelet of the 2010 World Series of Poker! Vladimir Kochelaevskiy pushed all in from the button and Tomer Berda made the call. The flop was bad news for Kochelaevskiy. He hit his six but still needed to improve. The on the turn changed nothing and Kochelaevskiy was down to his last cards. The came on the river and it was over. Kochelaevskiy slowly rose, shook Berda's hand and congratulated the champion. Kochelaevskiy was eliminated in second place and will take home $510,939. Vitaly Lunkin has made his way to the rail to cheer on his fellow countryman, Vladimir Kochelaevskiy, and yes, Lunkin is sporting his stylish fanny pack. 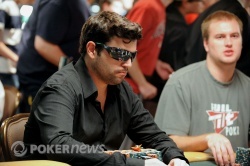 Tomer Berda started the hand with the button and raised to 450,000. Vladimir Kochelaevskiy re-raised to 1,730,000, Berda four-bet to 3,500,000 and Kochelaevskiy five-bet shoved. Berda called. Spectators rushed to the rail to catch a glimpse of the flop; . Kochelaevskiy's Russian contingency began to celebrate as the dealer burned and turned the . "Queen!!!" someone from the rail yelled. A seven would suffice as well, but the dealer obliged and spiked the on the river giving Berda the winning straight. Berda stood from his chair and led out a loud yell in disbelief. He had just caught runner-runner straight cards to miraculously double to 11,950,000 chips. Kochelaevskiy is now dangerously low with just 2,600,000 in his stack. Vladimir Kochelaevskiy opened to 450,000 with the button and Tomer Berda called. The flop brought three aces, , and both players checked. The turn was the and Kochelaevskiy checked to Berda who bet 250,000. Kochelaevskiy called. The river brought the and Kochelaevskiy checked again. Berda bet 500,000 and Kochelaevskiy called. Berda opened for a complete air-ball and Kochelaevskiy tabled for a full house. Kochelaevskiy took a slight chip lead with the victory. Vladimir Kochelaevskiy opened to 450,000 with the button and Tomer Berda defended his big blind. Both players checked the flop and Berda again checked after the turned. Kochelaevskiy opted to bet 765,000 and Berda folded. Kochelaevskiy is storming back and now has 7,200,000 chips. Berda slipped to 7,500,000.